Ten years ago this month, a Taiwanese company called HTC stepped out of the shadows and launched two new handsets under their own brand. Unusually though, HTC wasn't a NEW company but it had been successfully manufacturing devices for several years which always featured somebody else's name on the outside. HTC started out making laptops in 1997 and then moved to PDAs, notably making iPAQs for Compaq and HP. In 2002 they launched the world's first Windows smartphone, the HTC Wallaby, followed by a range of ever-better Windows devices that became very popular.. and which were highly anticipated by smartphone fans. So, instead of just branding phones with Qtek, i-mate, Dopod, O2, T-Mobile or whatever it seemed a logical choice for this growing company to sell under its own name. After all, HTC were arguably the most innovative phone manufacturer at the time but you couldn't actually buy an HTC with "HTC" on it. 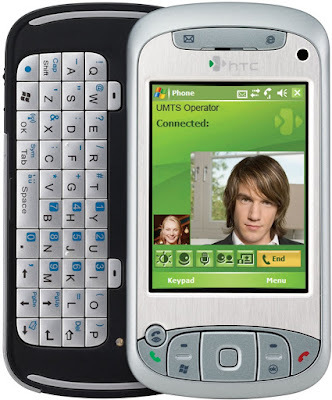 The first two HTC-branded handsets you could buy were the HTC TyTN and HTC MTeoR. The TyTN looked more like the sort of smartphone we know today, with a 2.8" 240 x 320 pixel touchscreen, Windows Mobile 5.0, 3G and 3.5G support plus WiFi, a 2 megapixel camera plus a video calling camera and a slide-out QWERTY keyboard. 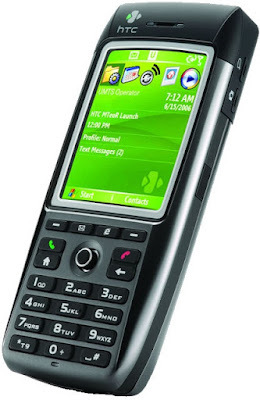 On the other hand, the MTeoR looked more like a traditional feature phone, but this too ran Windows Mobile 5.0 but with a more traditional 2.2" 240 x 320 pixel non-touch panel. The MTeoR had a basic 1.3 megapixel camera and supported GSM and 3G networks only. Out of the pair the TyTN was the most successful, and although it may seem obvious today that a "candy bar" smartphone such as the MTeoR would be less appealing, you have to remember that it was competing directly against Nokia's very similar Symbian smartphones which had the same form factor. These days the TyTN and MTeoR are long-forgotten. But HTC continued to innovate and shape the market, creating the world's first Android device and consistently outperforming most of its competition for a fair chunk of the past decade. And during the next ten years, HTC certainly went on to design some very impressive devices that were far more notable than this pair..